Explore the complete history of Jaguar--maker of cars that practically purr with life--through James Mann's stunning photography. In 1935, a small company in Coventry, England, built a sporting saloon called the Jaguar SS and set in motion an inexorable process that would lead to Britain's most beloved line of high-performance automobiles. Originally begun by a couple of motorcycle enthusiasts--William Lyons and William Walmsley--the firm originally called the Swallow Sidecar Company quickly expanded into automobile production, and with its new Jaguar model, it had exactly what the market wanted. In England's bleak postwar years, Jaguar became a shining star, beginning with its XK120 (the first production car ever to achieve 120 miles per hour), followed by the XK140 and XK150. Sporting sedans (saloons in British parlance) such as the Mark 2 and Mark X set the bar for luxury four-door transport in the 50s and 60s. Then Jaguar stunned the world with the achingly beautiful E-Type in 1961, a genuine 150-miles-per-hour super sports car. Along the way, the company competed on road courses around the world, going head to head with greats such as Ferrari and Aston Martin. 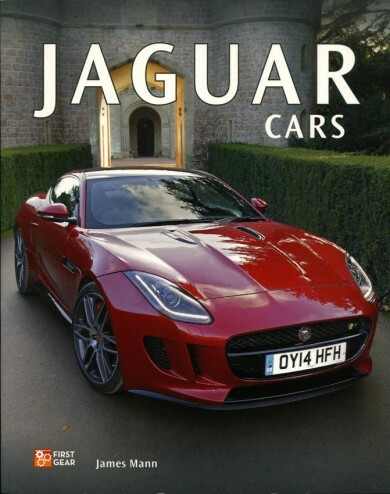 Jaguar Cars features 50 of Jaguar's most iconic models, from the original SS Jaguar to today's F-Type sports cars as well as the C-X75 supercar concept.